Hong Kong is a thriving business hub strategically centered within Asia. Covering less than 1,500 sq km, it is a compact business center for companies that are looking to expand. With a gateway to mainland China and being a magnet for global business, the Hong Kong political environment and the country itself is in close proximity with other crucial Asian cities and is a home to an international airport that boasts over 180 direct flights worldwide. 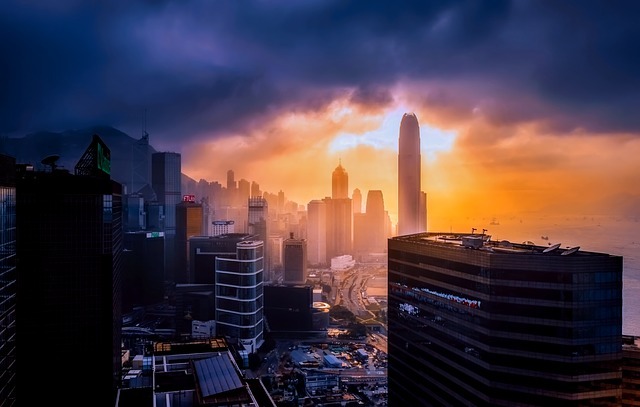 Benefiting from this connectivity, Hong Kong has set out the welcome mat for investors from over the world by offering a simple and low tax regime. Other than the obvious Hong Kong economic challenges, which are considerable low, it provides an international, efficient, and transparent regulatory environment. The reason why the Hong Kong economy is great is due to the corporate profit tax that is capped at 16.5%, and the salaries tax at 15%. Other than this, the best part about opening a company in Hong Kong is that you would never have to suffer from levies on dividends, capital gains tax, withholding tax, sales tax, or VAT. Due to these benefits and the free trade port, Hong Kong company challenges become minimal, making this the most logical place to open a company for those who want to grow in Asia. Despite the apparent attraction of Hong Kong as an investment destination, several legal and accounting burdens can extinguish international startups. And it is due to these risks of doing business in Hong Kong that you need a local agency to help you out at each point. This is not to say that you shouldn’t do business in Hong Kong, however to avoid any troubles, you need an agency to help you. They would be more familiar than you with the challenges facing a Hong Kong startup. This is the very first risk, which is starting a company in Hong Kong. The business would first need to select a company name and then apply for the certificate of registration and incorporation. This has to be done before the company can apply for a corporate bank account, obtain a corporate seal or apply for the Mandatory Provident Fund (MPF) for the company. Hong Kong has been ranked as the first in the world by the International Finance Corporation (IFC) and the World Bank for the ease of handling construction permits. That doesn’t end the risks of doing business in Hong Kong, but the person would have to undergo meetings with several official departments to obtain a construction permit. The electrical connection in Hong Kong is taken care of by the CLP Power, giving a new Hong Kong company challenges of staying without it until they have connected the business to the national grid. You would have to send an application to the CLP Power before they can come and inspect the place and the work can begin to get done. Property registration is a moderately drawn-out operation that takes over a month to complete where a solicitor is required to perform a land search at the Land Registry. This is also processed with the Sales and Purchase agreement after which the registration is completed. Another one of the Hong Kong company challenges is that there is no public registry coverage, but obtaining the credit in Hong Kong is a comparatively straightforward ordeal. With the city-state scoring high on all IFC indices and World Bank, investor protection can also be guaranteed. Tax payments are needed to be made at the end of the year, which is one of the other things that needs to be considered. If guided by the right agency, the person would be able to get the filing done properly and on time. The employers are also required to pay the MPF, which is the mandatory provident fund contributions along with the corporate income tax and property tax that is paid by the owners. Trading across borders in Hong Kong is an incredibly cheap endeavor that takes under a week to perform and finish both the exporting and importing processes. The Hong Kong company challenges here is that you would need to prepare four documents for the movements. It takes about 360 days to complete enforcing contracts due to the Hong Kong economic challenges, and numerous procedures are required to navigate in total. And at this time, the judicial provisions take the lion’s share. One of the other main risks of doing business in Hong Kong is the insolvency solution. It takes about one year to resolve the insolvency even though there are low costs and high recovery rates when the procedure is carried out. And the best thing about this is that the companies can expect 81.2 cents on the dollar while initiating insolvency crises, as compared to a provincial average of only 34.7 cents. The Hong Kong political environment, as well as the business environment, has a significant influence in Hong Kong since Chinese people are overwhelmingly populating the country. Also, the customs are to be adopted appropriately. This is not a major hurdle for Hong Kong companies, as many Chinese who work with foreigners keep a western name, so that is is easier for them to pronounce and even remember it. Further, these days a large number of Chinese can conduct business in English as well as Chinese. Along with this, Hong Kong’s friendly environment permits several other adjustments that are made to accommodate international business. With the local knowledge of Hong Kong, Startupr can assist you to navigate effectively through these minefields. Whether you want to streamline your Hong Kong services or just set up a company in Hong Kong, feel free to talk to us and overcome the various Hong Kong company challenges!